Bob finds time to write his first letter in over a week. They’ve been so busy with basic that he starts it in nothing more than a towel while waiting for the shower to heat up. He finishes the second half after another recruit tricks him into taking a cold shower anyway (poor Bob). Bob and Marj is a true epistolary podcast. 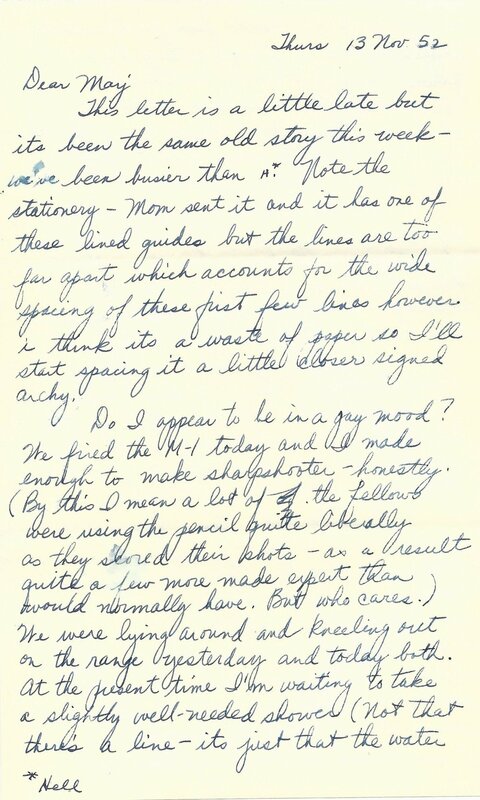 You can read the original letter and extras from this episode below.